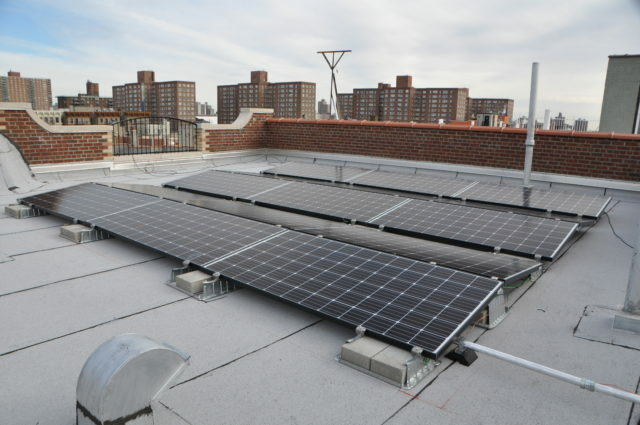 Solar Uptown Now Shines Light on a Just Transition to Clean Energy and Green Jobs in Harlem - 770 Electric Corp.
HARLEM, NY — Solar Uptown Now (S.U.N.) is demonstrating how low- and middle-income communities and communities of color can successfully make a just transition to clean, affordable energy while also creating good, green jobs for local residents. 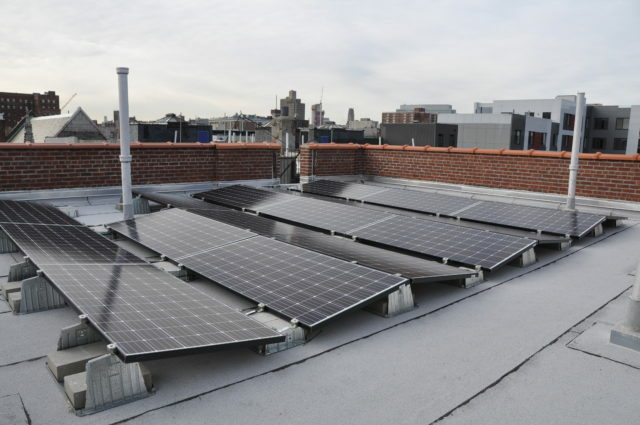 This community-initiated program is in the process of installing 270 kW-DC of rooftop solar capacity on nine Housing Development Fund Corporation (HDFC) affordable housing cooperatives in Harlem and Washington Heights, with two additional installations on market-rate buildings that will bring the total capacity to 415 kW-DC. To date, four S.U.N. installations have been completed, three of which are HDFC co-ops in Harlem: 660 St. Nicholas Avenue, 128 West 138th Street, and 45-53 West 110th Street; the fourth is a market-rate brownstone on East 120th Street. The other buildings are in various stages of the permitting and construction process. Once completed, the 11 rooftop solar installations will offset an estimated 4,117 tons of greenhouse gas emissions over their 25-year lifespan, which will reduce the local carbon footprint and help combat climate change. They will also reduce demand for electricity from local power plants, thereby helping reduce air pollution and related health effects like respiratory illnesses in the community. The S.U.N. installations produce power for building common areas (hallways, elevators, and laundry/common rooms), reducing operating expenses for the co-ops. The 900 residents of the nine HDFCs will receive an estimated combined savings of $59,000 during the first year after installation and more than $1.7 MM in savings over the solar installations’ 25-year life. These savings will enable the participating buildings to reallocate funds for building maintenance and reserves, providing the co-ops with financial security and helping them maintain long-term affordability for residents of the HDFCs. S.U.N. distinguishes itself from other solar programs by targeting affordable housing. Solarize campaigns organize homeowners into purchasing groups to negotiate discounted transparent pricing from a solar company and install solar at the same time. Since 2009 there have been dozens of successful solarize campaigns across the country, most typically in suburban areas with single-family homes, but S.U.N. is the first successful solar purchasing group specifically for multi-family affordable housing, where the barriers to solar adoption are greatest and the cost savings are most needed. WE ACT for Environmental Justice and its partners are focusing on HDFC cooperatives because they are a unique form of affordable housing in New York City that provides homeownership opportunities to low- and moderate-income families, and there is a high density of HDFCs in Northern Manhattan. “The S.U.N. campaign is the first successful implementation of the solarize model on multi-family buildings in a high-density urban area. 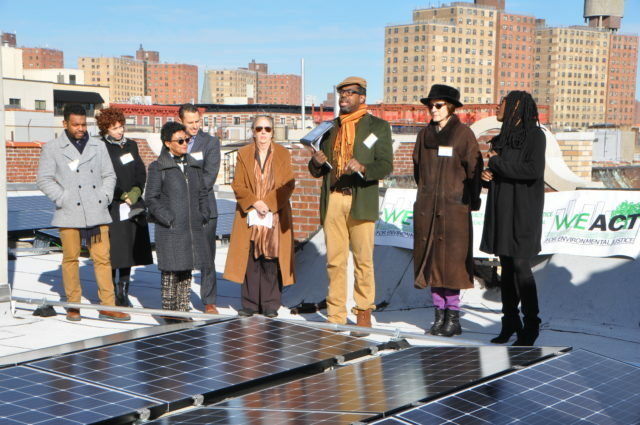 Replicating this innovative model in similar neighborhoods is crucial to expanding access to solar energy to urban communities, particularly low- and moderate-income communities of color who face disproportionately higher energy cost burden and are more likely to be exposed to environmental issues. 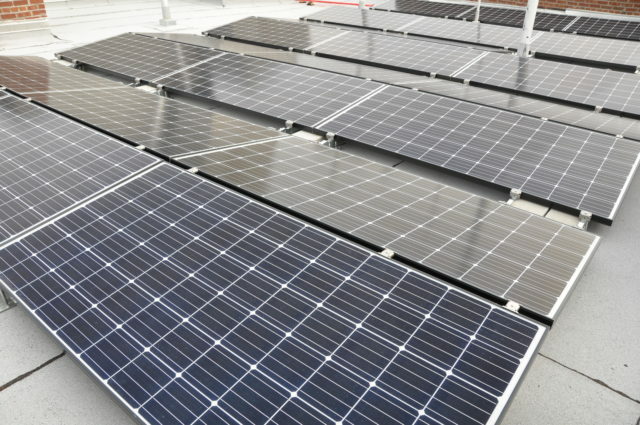 Solar energy is a solution that not only provides energy savings, but also addresses environmental and equity issues in urban communities,” said Juan Parra, Program Manager at Solar One. Another way in which the S.U.N. program distinguishes itself is by incorporating a pathway to green jobs for members of the local community. WE ACT has been providing free worker training since 2012, funded by the New York State Department of Labor, and started offering free solar installation training in 2018 in partnership with Solar One as part of the S.U.N. program. The request for job training and the requirement that the S.U.N. installer, 770 Electric Corp./Grid City Energy, hire some of these local trainees was mandated by the community and WE ACT members. 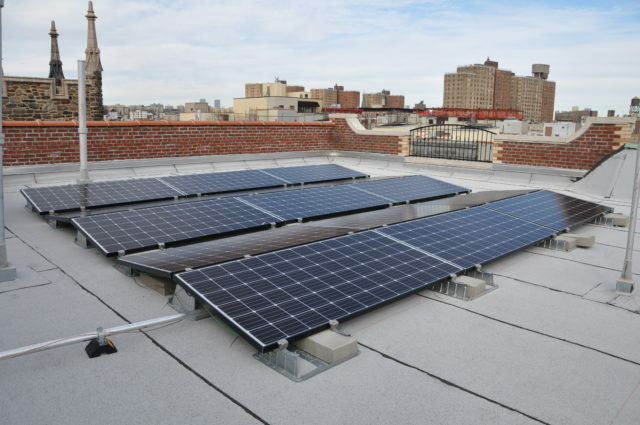 To date, the program has provided solar installation training to more than 100 unemployed and underemployed Northern Manhattan residents, with five of them landing solar jobs – including two who are working with 770 Electric Corp./Grid City Energy on the S.U.N. installations. 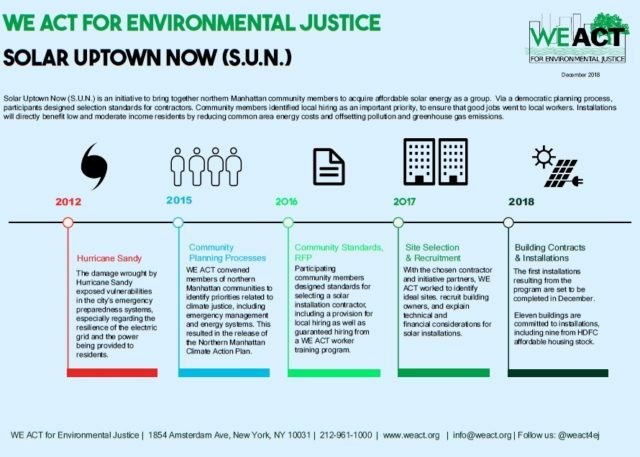 In 2016, nonprofits WE ACT for Environmental Justice (WE ACT), Solar One and the Urban Homesteading Assistance Board (UHAB) partnered to launch the S.U.N. program. 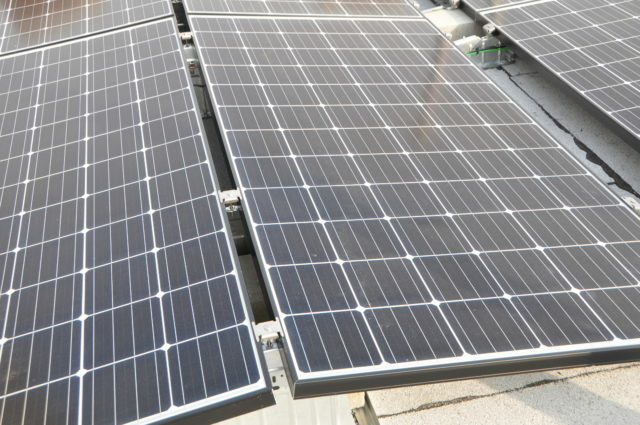 It is supported by the NYC Solar Partnership as part of the Solarize NYC program, Governor Andrew M. Cuomo and the New York State Energy Research and Development Authority’s N.Y. Sun initiative as well as by generous funding for WE ACT from The Kresge Foundation and the Energy Foundation. 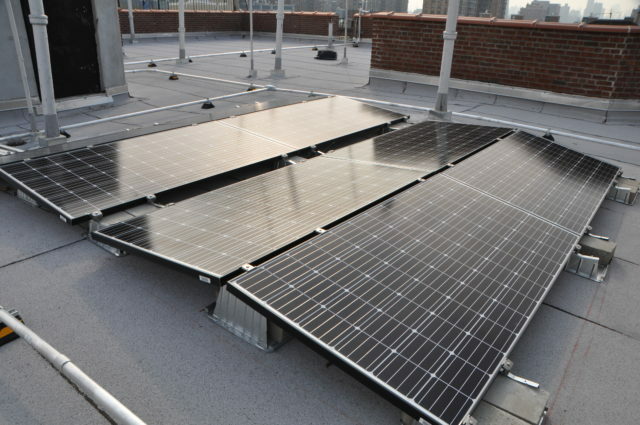 The NYC Solar Partnership is led by Sustainable CUNY of the City University of New York, which works collaboratively with the New York City Mayor’s Office of Sustainability and the New York City Economic Development Corporation to promote an equitable and self-sustaining solar market in pursuit of the Mayor’s goal of increasing solar capacity around the city. In addition, WE ACT’ Worker Training program is funded by Governor Andrew M. Cuomo and the New York State Department of Labor. The WE ACT program originated from a community based planning effort as part of WE ACT’s Northern Manhattan Climate Action plan. WE ACT manages the program, spearheading the work in the community, recruiting partners Solar One and UHAB to help evaluate potential sites, consult with the HDFC boards to determine financing strategies and gain approval, and solicit bids from qualified local solar companies. Solar One is an environmental nonprofit that empowers New Yorkers to help solve our most pressing environmental challenges through its diverse programs including K-12 environmental education, green workforce training, and the Here Comes Solar program, which provides technical assistance to building owners, affordable housing providers, and community groups to advance their solar projects. Since 2014, Solar One has facilitated more than 260 successful solar installations in NYC’s underserved markets. Learn more at www.solar1.org and http://HereComesSolar.nyc. Solarize NYC is a citywide program led by Sustainable CUNY, with support from the NYC Mayor’s Office of Sustainability and Economic Development Corporation, that is designed to further increase access to solar through community group purchasing campaigns through 2025, with a goal of lowering costs by 10 to 20 percent for participants and increasing solar capacity in communities that have historically had limited access to solar. Solarize NYC is a core component of New York City’s OneNYC goal of expanding renewable energy for all New Yorkers as the City moves away from fossil fuels and toward renewables part of Mayor de Blasio’s commitment to reduce greenhouse gas emissions 80 percent by 2050. Solarize NYC will increase solar capacity citywide and remove barriers for communities that have historically had limited access to clean energy. Communities that are interested in applying can find more information at Solarize NYC. The Urban Homesteading Assistance Board (UHAB) is a New York City based nonprofit that provides support and services to low-income co-ops and renters across the city. Founded in 1973, UHAB was instrumental in guiding distressed rental buildings to become thriving co-ops under the ownership and maintenance of their residents. Today, UHAB continues to sustain affordable HDFC co-ops through technical assistance, training, and services including energy efficiency programs. Learn more at http://uhab.coop/ and follow us on Instagram. Speakers at the Solar Uptown Now press conference on the roof of 128 West 138th Street (l-r): Solar One Program Manager Juan Parra, UHAB Project Associate Sasha Hill, WE ACT Co-Founder & Executive Director Peggy Shepard, 770 Electric Corp./Grid City Energy Vice President David Bar, Manhattan Borough President Gale Brewer, WE ACT Deputy Director & Director of Policy Initiatives Cecil Corbin-Mark, 128 West 138th Street resident and Board Treasurer Carolyn Steinberg, and 128 West 138th Street resident and Board Treasurer Arlene James. 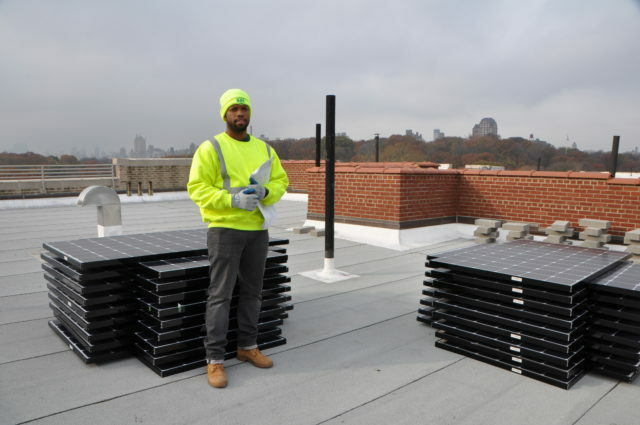 Brendan Lee Yaw, a graduate of WE ACT for Environmental Justice’s Worker Training program and now working for 770 Grid City Energy as part of the Solar Uptown Now program, getting ready to install solar panels on the roof of 45-53 East 110th Street. 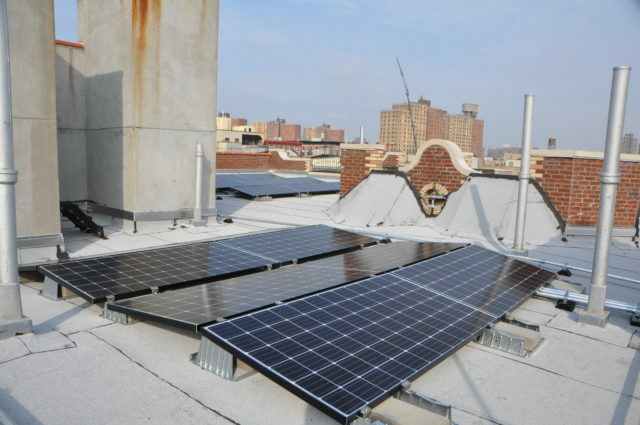 Solar Uptown Now installation at 128 West 138th Street. 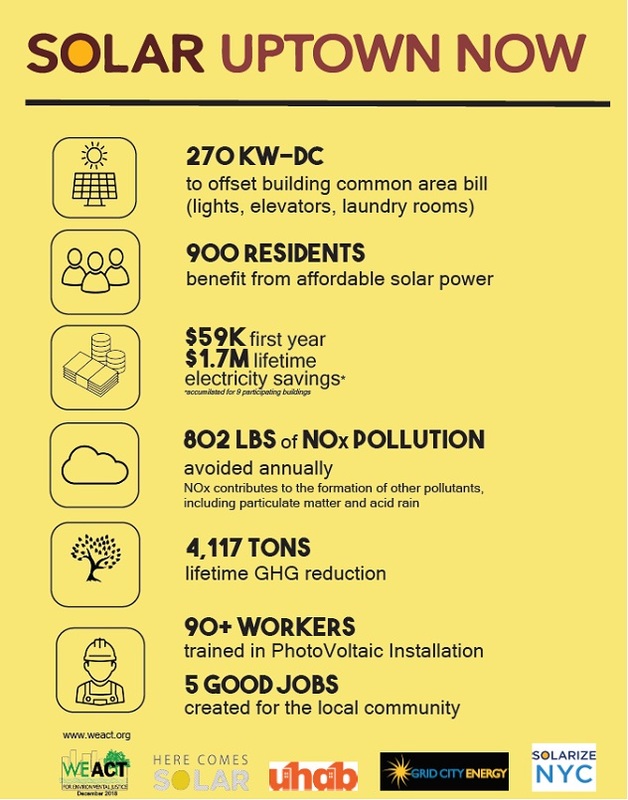 Summary of the impacts of the Solar Uptown Now program. The origin and timeline of Solar Uptown Now. 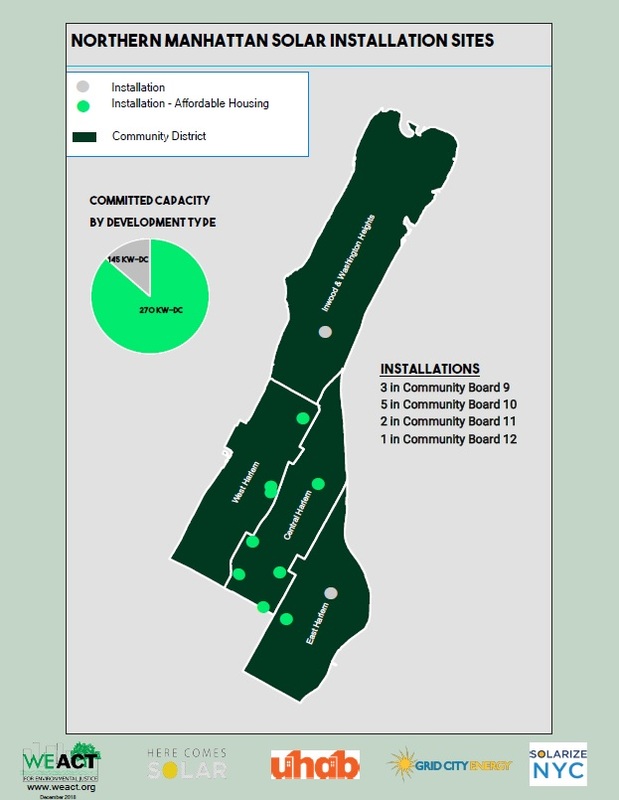 Map of the Solar Uptown Now installations. The Solarize Guidebook: a community guide to collective purchasing of residential PV systems. National Renewable Energy Laboratory. 2012.https://www.nrel.gov/docs/fy12osti/54738.pdf.